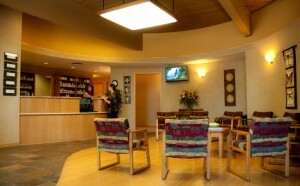 Thank you for visiting the website of Eugene Chiropractors, Dr. Richard Keim, Dr. Sharell Tracy, and Dr. Megan Wagner. Our chiropractors strive for excellence through superior patient treatment, education and satisfaction. We all know living with pain every day diminishes quality of life. What many don't know is that they do not have to live with the pain. Pain relief is one of the first results of the chiropractic adjustment, the next is better movement and function. Everyone deserves to know if they could feel better, could move more freely and function normally as a result of having their spine and/or extremities adjusted. We see miracles every day; why not be one of them? A friendly voice when you call. A warm greeting when you arrive. Front office staff who are personable and real. An appointment when you need it. The same day if possible. An experience that will make you wish you hadn't waited so long. Great value at an equitable price. We have three chiropractors, a physical therapist, several massage therapists, and a trainer all under one roof in a warm, spa like environment. We work closely together to provide you with what you need for healing your body pains and injuries. Each provider has his/her own expertise, trained and certified in different techniques and modalities to provide comprehensive care. We know everyone doesn't respond to the same treatment and our many years of experience and wide array of training helps us find the right answers to your individual problem. Our licensed and certified doctors at Tracy and Keim Chiropractic are dedicated to providing traditional and advanced chiropractic health care to our patients. Our massage therapists have advanced therapeutic massage training and provide wonderful adjunctive care to the chiropractic treatment as well as stand alone massage for a number of clients. Our patients tell us our thoroughness sets us apart from other doctors. We think you deserve to have your adjustments hold, so we check the supporting muscles for strength and function. When the muscles are weak, we don't assume it's a lack of exercise. Instead, we determine why a muscle isn't functioning and how we can correct it. There are a number of things that cause a muscle to "turn off", and its our skill at determining this that will make your experience with us rewarding. For instance, to strengthen muscles in your low back and pelvis, we may have to adjust your foot, adjust your lumbar spine, give you vitamin E, or do manual treatment of the muscle itself to release fascia and stimulate the spindle cells within the muscle. In other situations, one adjustment turns all the muscles back on, corrects the subluxation and takes the pain away. Each person is unique and you will be treated with this in mind. Between all three doctors, they are certified in Active Release Technique, Neuromodulation Technique, NeuroEmotional Technique, and Trigenics, have extensive training in Applied Kinesiology, and numerous other adjustive techniques.